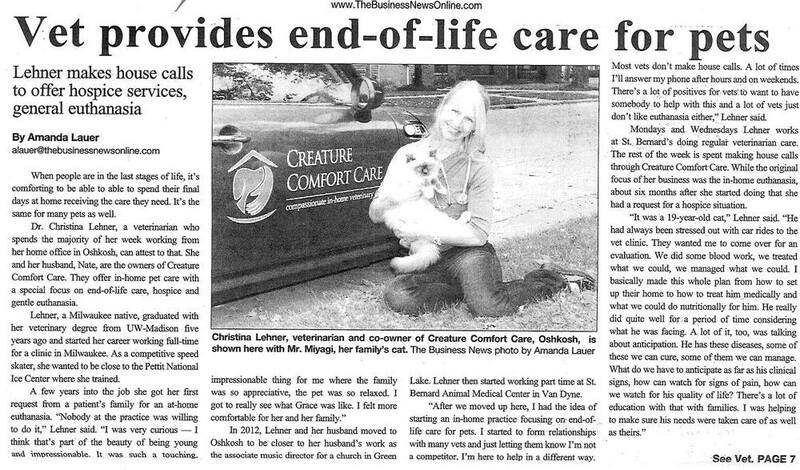 Creature Comfort Clinic in the News! In October 2016, Dr. Christina traveled to Iowa to teach two, 3 hour continuing education seminars to other veterinarians and staff on Compassionate Communication, Euthanasia Best Practices, and Ways to Memorialize Pets. We had lots of great conversations with vet’s and other staff members on how to best serve our dear pets and their family’s. Dr. Christina teaches on “Euthanasia Best Practices” at IAAHPC Conference, Washington DC. Dr. Christina was honored to be selected to speak at the International Animal Hospice and Palliative Care Conference, held in Washington DC, October, 2016 to fellow veterinarians and veterinary staff members. It was a great experience and we hope to have shared some insight on how to make such a difficult situation better for all pets and their family’s.